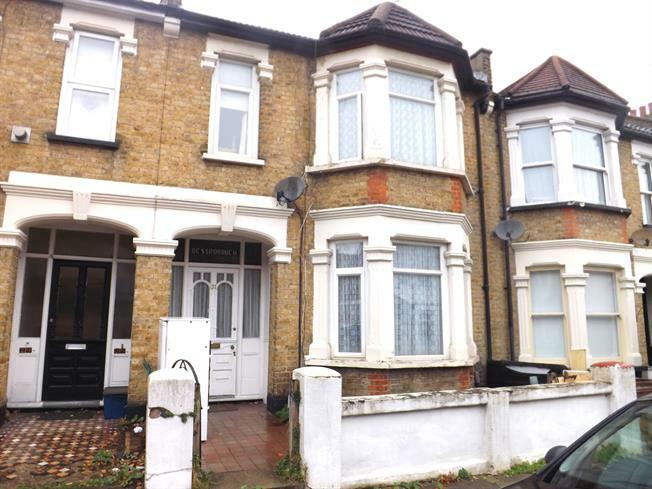 4 Bedroom Terraced House For Sale in Westcliff-on-Sea for Guide Price £300,000. We present this four bedroom mid terrace family home with an approximate 35ft rear garden which requires some modernisation and is offered to the market with no onward chain. The additional accommodation comprises a living room, dining room, breakfast room, kitchen and a three piece bathroom with an additional exterior ground floor shower room with WC. Benefits include majority double glazing and gas central heating. Textured ceiling, obscure single glazed timber front door with two obscure single glazed windows to front aspect, built in under stairs storage cupboard, radiator. Stairs rising to first floor accommodation. Texture ceiling, bay window to front aspect and radiator. Textured ceiling, window to rear aspect and radiator. Textured ceiling, window to side aspect, door to rear aspect and garden. Wall and base units with roll edged work surface, single bowl sink unit inset and tiled splash backs. Wall mounted boiler and spaces for appliances. Textured ceiling with loft access, built in storage cupboard. Textured ceiling,, window to rear aspect, radiator. Textured ceiling, bay window to front aspect, radiator. Textured ceiling, window to rear aspect, radiator. Textured ceiling, window to front aspect, built in overhead storage cupboard, radiator. Textured ceiling, obscure glazed window to side aspect. Suite comprising a panelled bath with electric shower over, pedestal wash hand basin and low flush WC. Part tiled walls and splash backs. Tiled shower cubicle, wash hand basin and low flush WC. The garden measures approximately 35ft and commences with a patio area to the side with the remainder laid to lawn with fencing to boundaries.